event production, streetwear fashion apparel, and artist development. Rabbit Revolution is a movement uniting people from all walks of life with a singular mission to enlighten others through dance music. Individually, we are White Rabbits, bringing Alice down the rabbit hole to discover a vibrant world of music, art, and culture. Collectively, we carry the banner and march to the beat of this lifestyle revolution, the Rabbit Revolution. Are you a part of the movement? Are you a White Rabbit? Rabbit Revolution is a multi-dimensional lifestyle and entertainment brand born out of the underground nightlife community. Committed to advancing the fashion, art, culture, and music of the underground dance scene, Rabbit Revolution sponsors and produces events throughout the Northeast. 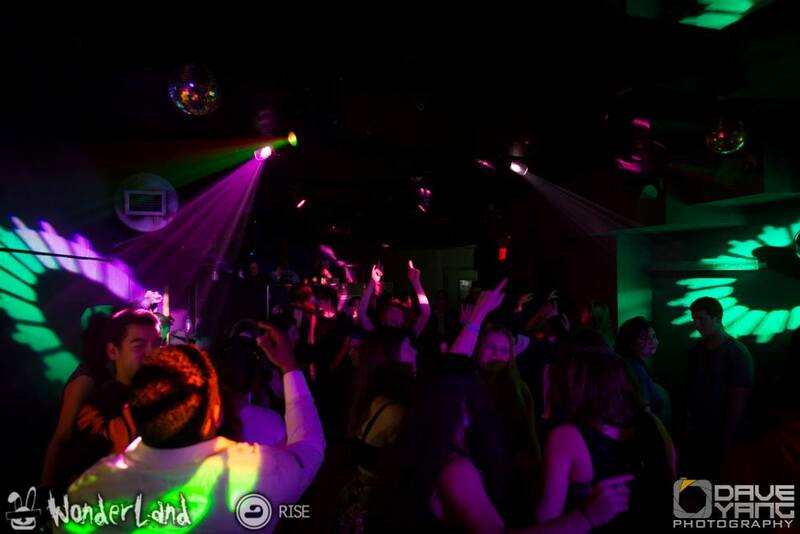 Founded in 2011, Rabbit Revolution began in Boston's world-renowned after-hours club, RISE, which was ranked #42 in the world by DJ Magazine. 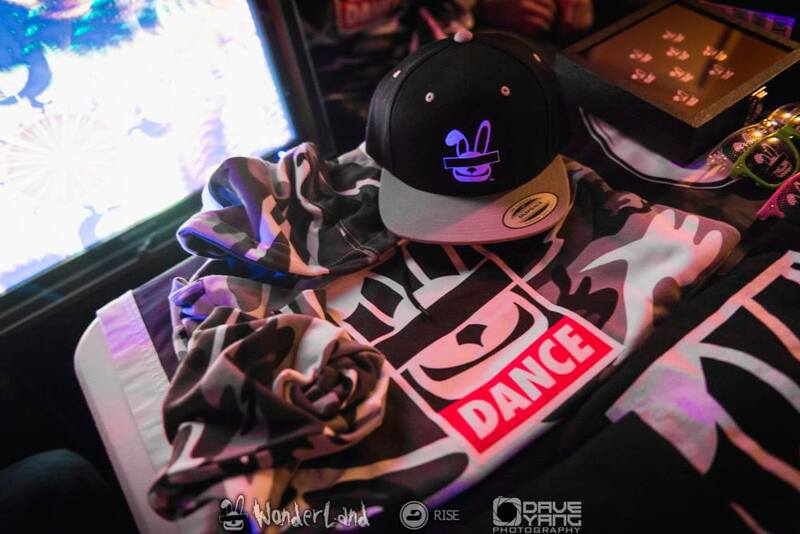 Since its founding, Rabbit Revolution has been involved in events all over the country, spreading its mission of enlightening people of all walks of life through dance music. Rabbit Revolution continues to spread awareness of the underground music scene through its 3 pillars: event production, streetwear fashion apparel, and music distribution. The Rabbit Revolution roster of DJs have rocked events of all sizes from nightclubs across the country to huge electronic music festivals like Identity Festival and the New England Together Festival. 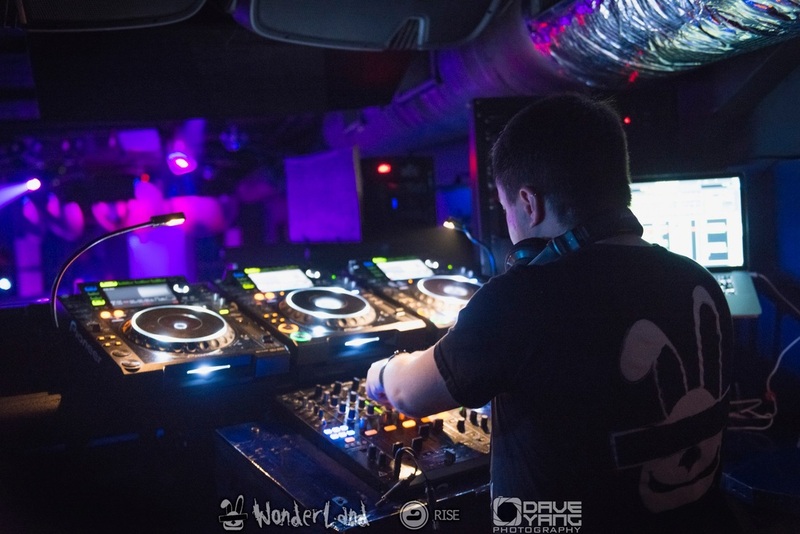 They have toured nationally and abroad, playing alongside the biggest names in dance music including Dash Berlin, Angerfist, Gareth Emery, Markus Schultz, Bass Kleph, Venom, Tristan Garner, Jay Lumen, Lady Faith, Heatbeat, Zardonic, and many more. Its DJs have received accolades from media outlets and have won awards including a "Best of Boston" award and "Best Trance DJ" in Bulgaria. Rabbit Revolution has been involved in the convention community since its inception through it's long-running series of after-parties with appearances at Anime Boston, ConnectiCon, Another Anime Convention, Super Megafest and Arisia. Rabbit Revolution has produced and partnered with numerous events through New England from intimate invite only events to all-day outdoor music festivals. Throughout literature, film, folklore, and spirituality, rabbits have served as powerful symbolic animals. Lewis Carroll and the Wachowski Siblings used the white rabbit as a metaphor for enlightenment, discovery, and exploration of the self. In Western mythology and art, the rabbit was associated with fertility, sexuality, and the night. In the Chinese folklore, the rabbit represents good fortune and it's Zodiac sign is one of compassion. In Native American spirituality, the rabbit was believed to be a shapeshifter; adaptable and cunning. In choosing a symbol that represents the strengths and passions of our organization, the white rabbit became a logical choice for our spirit animal. We follow the White Rabbit. Our trademark White Rabbit mascot is always portrayed with its eyes obscured, representing anonymity. It serves as a reminder that all of us, individually and collectively, serve as White Rabbits in our community, helping others in their journeys of self-discovery and enlightenment.